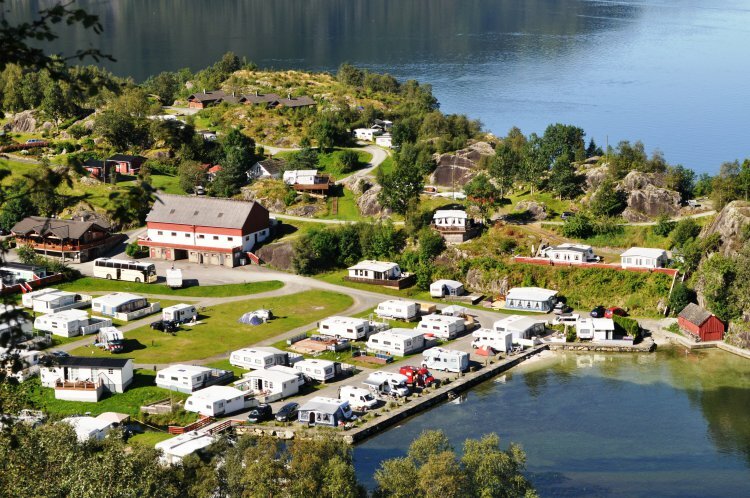 Kyrping Camping is situated in the South West of Norway between Haukeligrend and Haugesund. 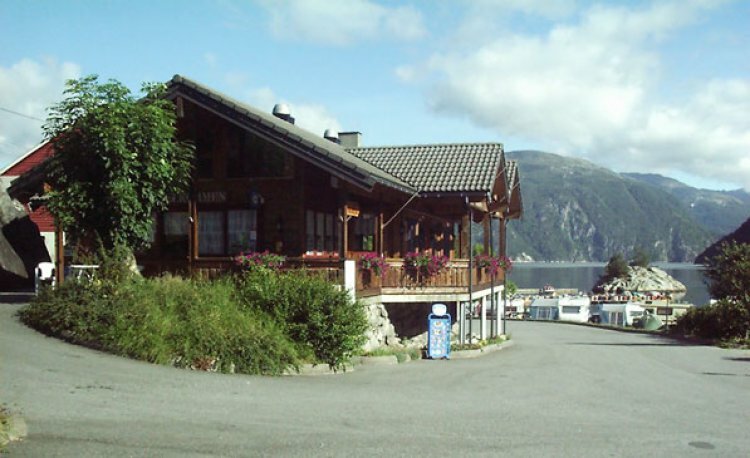 It is situated in a picturesque location by Åkrafjorden, 2 Km from E-134. The junction is by the Best gas station, 15 Km south east of the Langfoss waterfall. 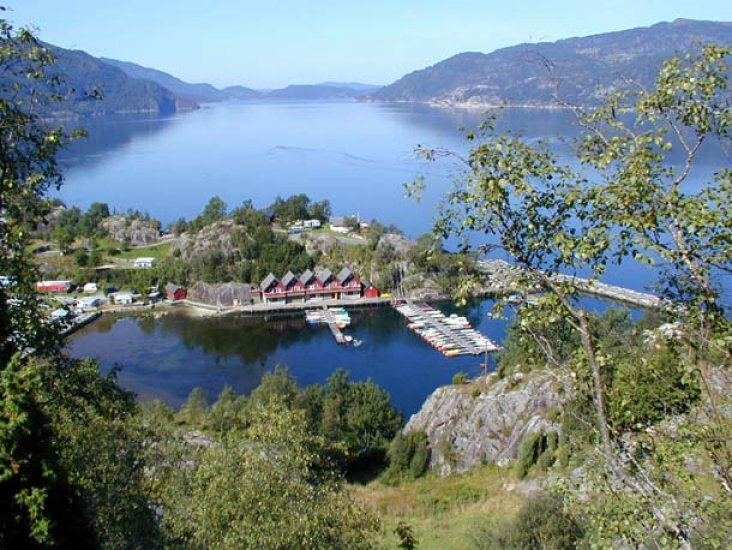 It is a typical family camp site for those interesting in outdoor life by the fjord or hiking in the mountains. Fishing and boating is one of the main activities. There are a total of 135 lots for tents, caravan or campers. The lots at the seafront are dedicated for campers. We hire 13 cabins for 2-6 persons. All cabins are with bathroom and kitchen. 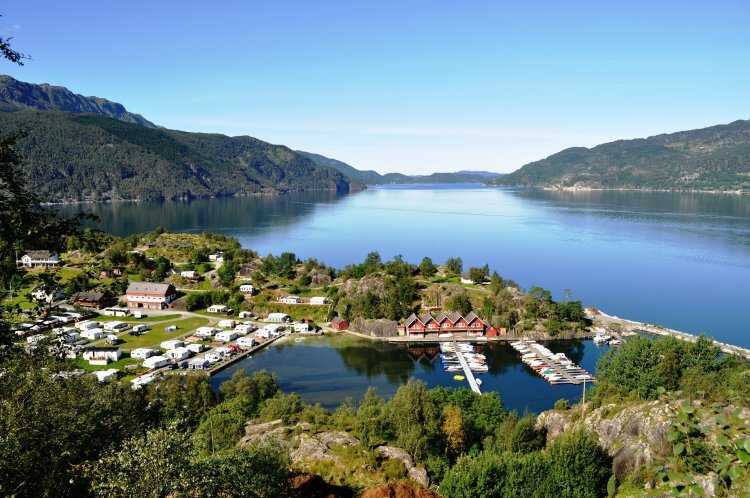 We have our own marina with possibilities for hiring a mooring bay for your own boat. We have 15 boats for hire with engines from 5 HP to 50 HP. A small camp site shop and Café wit all licenses is open in the full service period from 15.06 to 15.09. Assembly room for 40 persons with kitchen for rent.